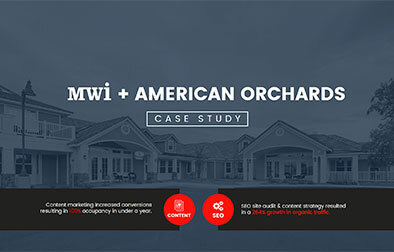 American Orchards Senior Living partnered with MWI to grow their local presence and reach full occupancy. After working together for 6 months, we were able to reach that goal. Download the case study below to see an inside look at the work and results from our partnership. 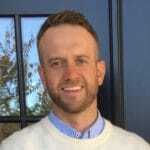 Our strategy team is happy to consult on digital marketing best practices for your assisted living community. Content marketing increased conversions resulting in 100% occupancy in under a year. SEO site audit & content strategy resulted in a 264% growth in organic traffic. Contact us to learn more about each of our areas of expertise.